Departure from Massachusetts was on time. We made it to JFK with only a little delay after one member of the team left his/her wallet behind at a rest stop and we had to go back to retrieve it. Thankfully it was still there! Getting through customs was stalled when a team member made an "x" on the wrong side of the immigration form. 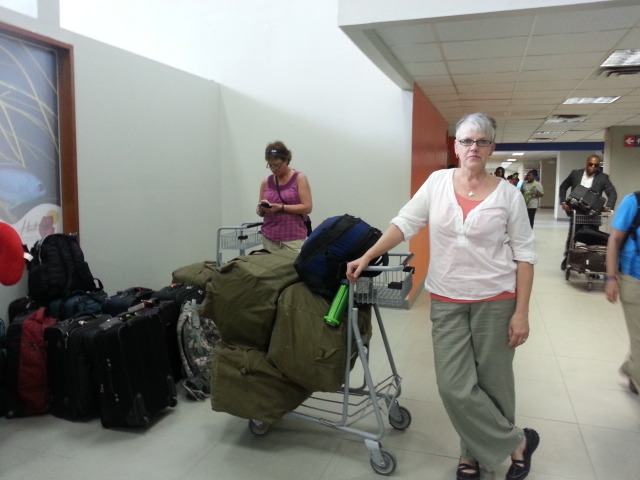 The ride to Les Cayes on Sent Etwal was long and... exciting when we had a blowout in the dark. Finally got to the house about 7:45 pm. No straight lines between points A and B, but the destination is only one part of the journey, right? Grateful to be able to pray a part of it from here!